In 2010, more than half of the reported grain handling accidents involved fatalities. Learn to make safety a routine for life, so at the end of each day, you can go home to your family and friends. A volunteer group, the Grain Handling Safety Coalition is a team from industry-related associations, agencies, and individuals with a shared dedication to preventing accidents, injuries and fatalities in grain handling operations on the farm and at the elevator. Our diverse team has two interests in common: GRAIN and SAFETY. On July 28, 2010, in the small town of Mt. 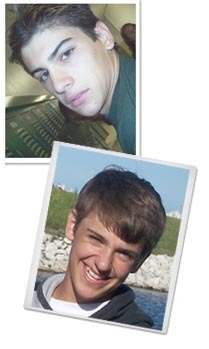 Carroll, IL, 14-year old Wyatt Whitebread and 19-year old Alex Pacas were killed working in a grain bin. Will Piper, 20, was trapped for several hours before being rescued. Chris Lawton,15, was able to escape and call for help. Alex Pacas’ aunt, Catherine Rylatt, realized a true need existed to educate and train those working in the industry. Catherine reached out to Dr. Robert Aherin, Agricultural Safety and Health Program Leader at the University of Illinois. Together, they sought out individuals, organizations, and agencies with connections to the grain and/or agricultural industries. It did not take long for everyone to realize that in working together we could achieve greater success in the mission to deliver community-based grain safety awareness and education across the entire industry. Thus, the Grain Handling Safety Coalition (GHSC) was established.